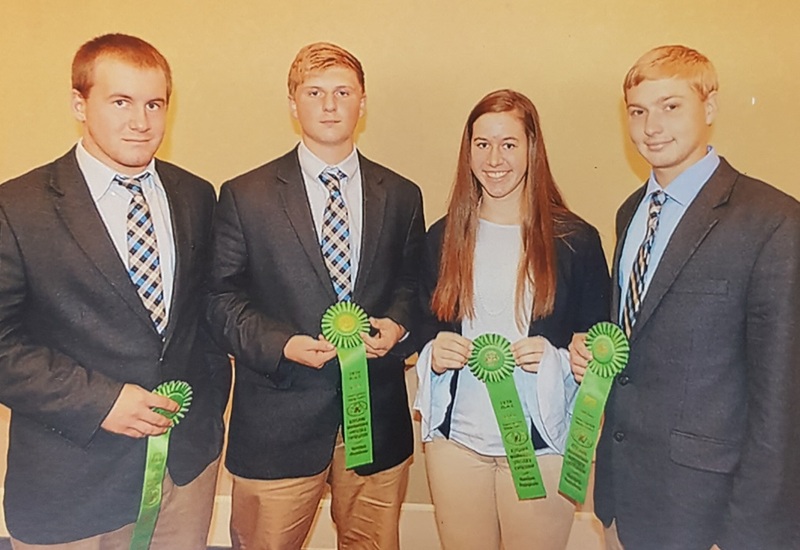 DUBOIS COUNTY -- The Dubois County Livestock Judging Team has taken home awards in the national Keystone Livestock Judging Competition. The local team won their spot in the national competition by placing 6th in the state competition at Purdue. They placed 5th overall on the national level and 5th in sheep judging. Hannah Schwenk placed 7th overall in individual cattle judging. Cody Scherle placed 3rd overall in sheep and Cody Scherle placed 5th overall in the individual category. The team is coached by Steve Oeding, Austin Egloff and Justin Lichlyter.